• Requires less horsepower than air systems. 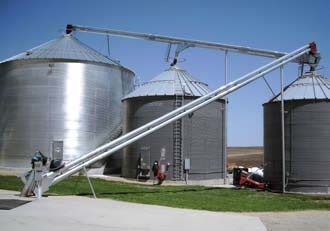 • En masse (grain-moving-grain) concept causes less damage to grain at higher capacities and needs less maintenance than traditional conveying systems. • Unique UHMW paddle, designed to keep your grain flowing gently and evenly from inlet to discharge. 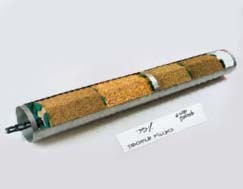 • Reduction in grain damage when compared to traditional conveying systems. Threaded rods on each side of the head allows ease of conveyor chain adjustment. The standard hydraulic winch on 10" models produces a smooth, dependable method to raise and lower the conveyor. An economical hand winch is provided standard on 8" models or optional hydraulic and electric winches are available. Why Store Your Own Grain? Copyright © 2019 ABC Hansen Africa. All Rights Reserved.